Did you know that when actor Arnold Schwarzenegger tried reloading an actual shotgun by twirling it in “Terminator 2: Judgment Day”, he almost broke every bone in his hand? A feat that is virtually impossible with a real 1887 Winchester Shotgun, the sheer amount of force necessary to pull this twirling trick off is enough to break bones (not to mention running the risk of accidentally shooting yourself.). So to illustrate that the Terminator was far stronger than an average human, a heavily modified shotgun prop was used which included an artificially lengthened lever loop which made the iconic twirling possible. Did you know that during the bus chase on the Golden Gate Bridge in “Terminator Genisys”, actor Arnold Schwarzenegger never drove the police car once? 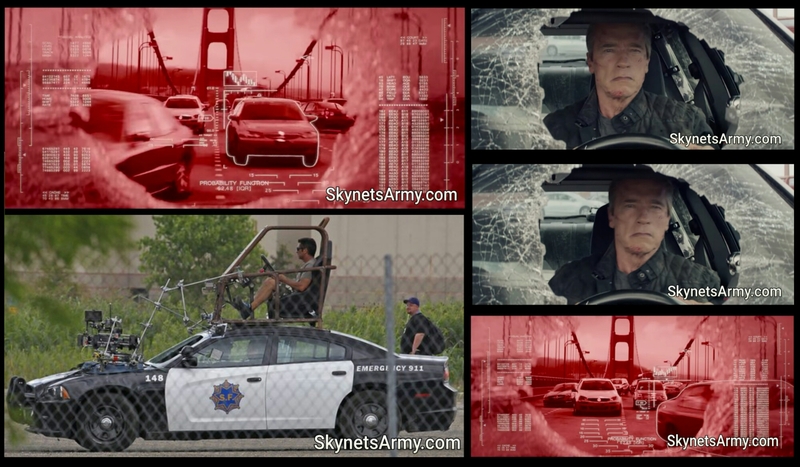 During the scenes where the Guardian Terminator actor appeared to be driving in pursuit of the runaway bus, there was actually a stunt driver secured to top of the car, steering the police cruiser with a custom rig equipped with a working steering wheel, brake, and excelleration pedals. This specialized driving rig also allowed a camera to be mounted on the hood of the car to film action closeups of Arnold. Did you know that when the T-X Terminatrix actress Kristanna Loken filmed her barefooted time travel arrival scenes for “Terminator 3: Rise of the Machines”, she painfully got glass stuck in one of her feet? Filming had to stop so she could care for it and have the glass removed, however a piece of that glass still remained in her foot for weeks. Did you know it was NOT writer & director James Cameron’s idea to change the ending of “Terminator 2: Judgment Day”? 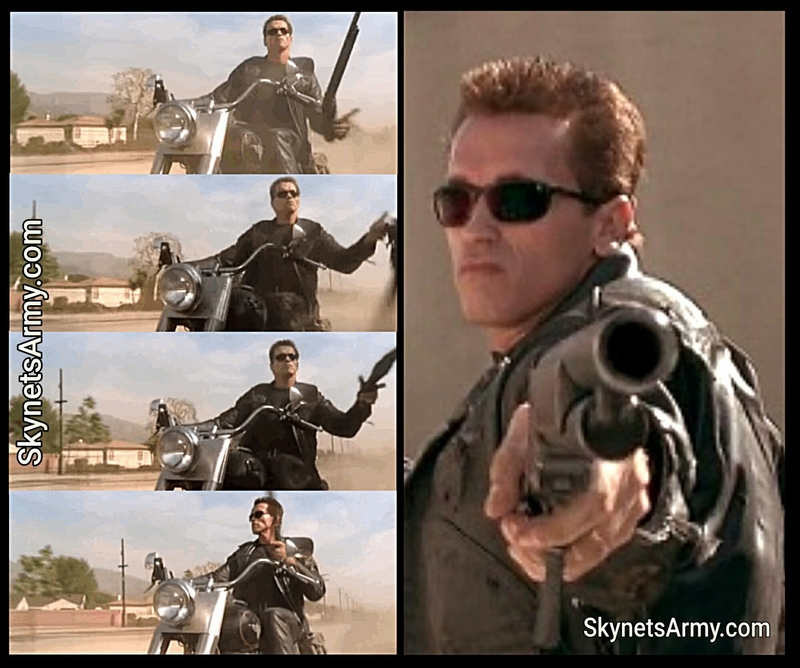 Cameron wanted the Terminator sequel to end with the infamous “Old Sarah Connor” sequence, which revealed the Future War had indeed been prevented and would finish T2 on a happier note. 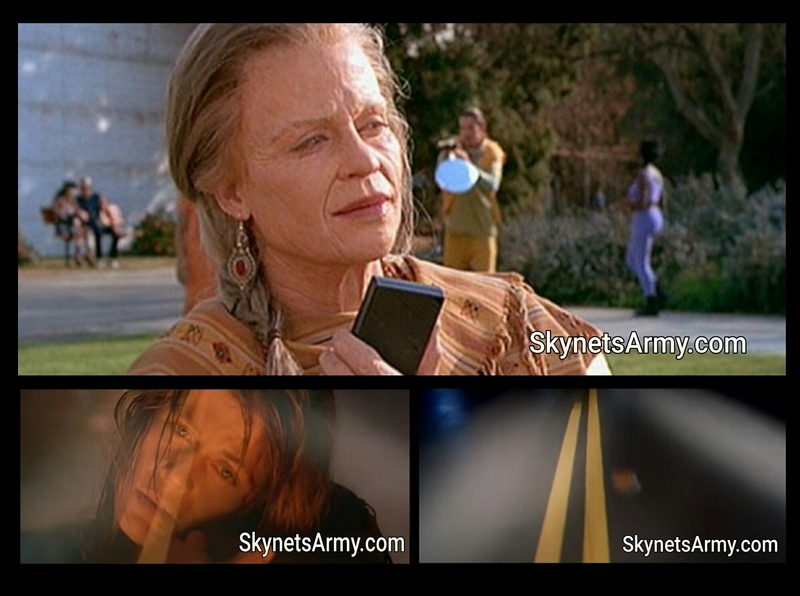 But after a test screening resulted in almost a universal negative audience response to the happy ending, Cameron relented to studio pressure and quickly put together a makeshift ending that contained reused footage from when the heroes approached the Cyberdyne Building.. plus a Linda Hamilton voice over recording. James Cameron later conceded his original ending for T2 was not the right one. 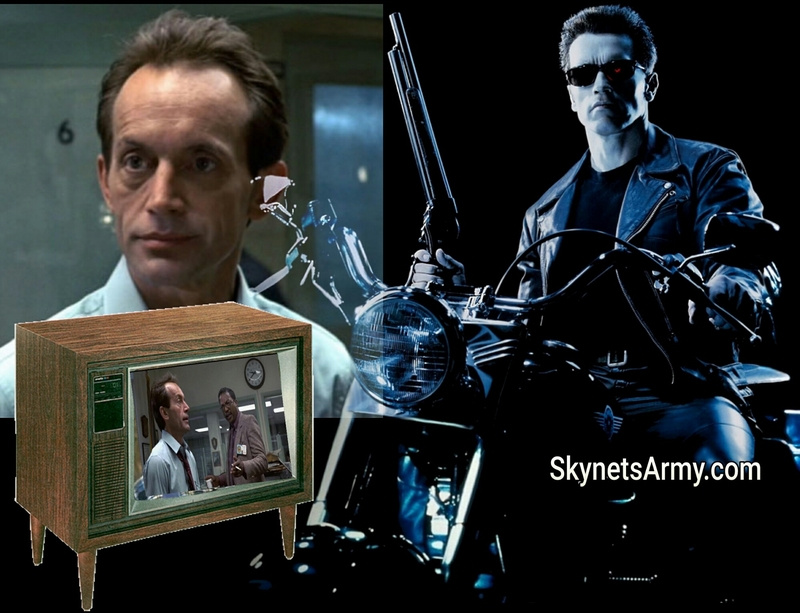 Did you know that actor Lance Henriksen (who played Detective Hal Vukovich in “The Terminator”) halfheartedly suggested to director James Cameron that he should continue his character in a Television Series… and in the film sequel “Terminator 2: Judgment Day”? And when Lance heard Cameron was going to make a second Terminator film, Henriksen suggested his character Hal could easily return in the sequel. “You never see me die, so I was telling Jim Cameron that it could start in the hospital with me covered with scars saying, ‘Look, if this guy came once, he’s gonna come again.” While a great idea, Cameron never found room for Lance in the new story he was trying to tell. We’ll be back… with Volume Seven! Previous PostNew TERMINATOR Movies? Not if the media has anything to say about it.Next PostTERMINATOR QUESTIONS Volume One: Answers about a T-1000 escape, canon and a timeline paradox!